James Sexton creates stove foundry with partner John Jackson, factory is located at 178 Lake Street. Chicago Fire destroys the facility and Sexton Partnership is shut down due to little insurance on the company. Before the fire reached the Sexton foundry, Sexton’s men tossed the foundry molds into the Chicago River for protection. He later retrieved the molds and was able to continue production. Sexton meets Henry Cribben in Chicago. Cribben Sexton and organizes the Cribben and Sexton Co. The business moves to 75-77 Lake Street. The business continues to grow and they purchase the property on the west and east sides of their factory. Their expanded facility contains the foundry, warehouse and office buildings. They manufacture a complete line of steel and cast iron parlor stoves, cooking stoves and heating stoves of every description for both wood and coal. This facility manufactured over 40,000 units a year. All the stoves are produced under the name Universal Stoves and Ranges. Another fire causes severe damage, but the company quickly recovers from loss and looks for another location for factory. President Benjamin Harrison appoints Sexton Postmaster of Chicago and he served for five years, holding office during the Columbian Exposition. Construction of 700 N. Sacramento building begins. Sexton sells his interest in the business, due to failing health, to Henry and his son William Cribben. Sexton dies in Washington D.C. The business employs over 500 workmen. The company moves into its new building at 700 N. Sacramento and continues to produce stoves. The elementary school at 160 W. Wendell St. in Chicago was renamed for James A. Sexton. Cribben and Sexton Co. begin producing the first gas-powered stoves in the country at 700 N. Sacramento. The stove operations shut down and the factory supports the war effort by producing cannons and motor shells. The building is sold to a charcoal company. Playskool Toys purchases the building and produces toys for the next decade. Building is purchased by Alco Products and produces plastic bottles. Building purchased by current ownership. Rennovations begin to create current loft office building. First tenants move in to the new creative loft office space. 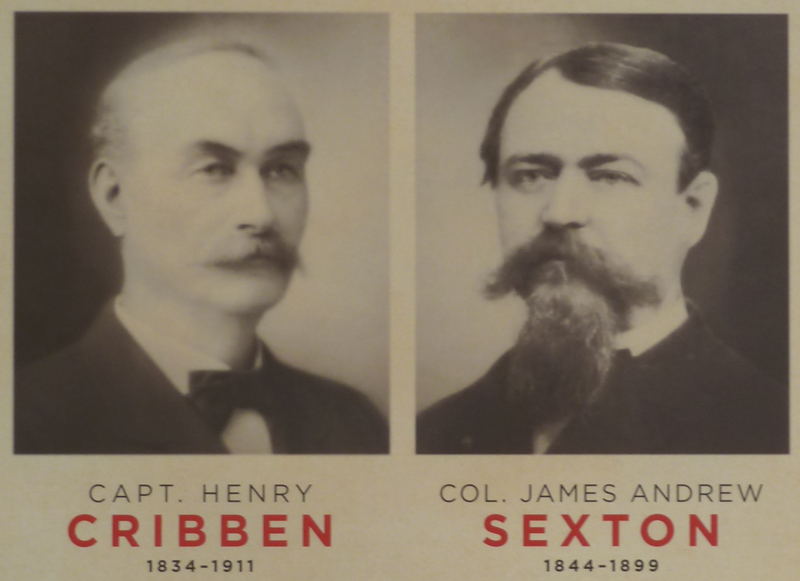 Henry Cribben and James Andrew Sexton founded the Cribben and Sexton Co. in 1873. The company was one of the top stove producers in the United States. The firm eventually set up at 700 N. Sacramento in Chicago in 1901, which has since been renovated to house premier loft office space.